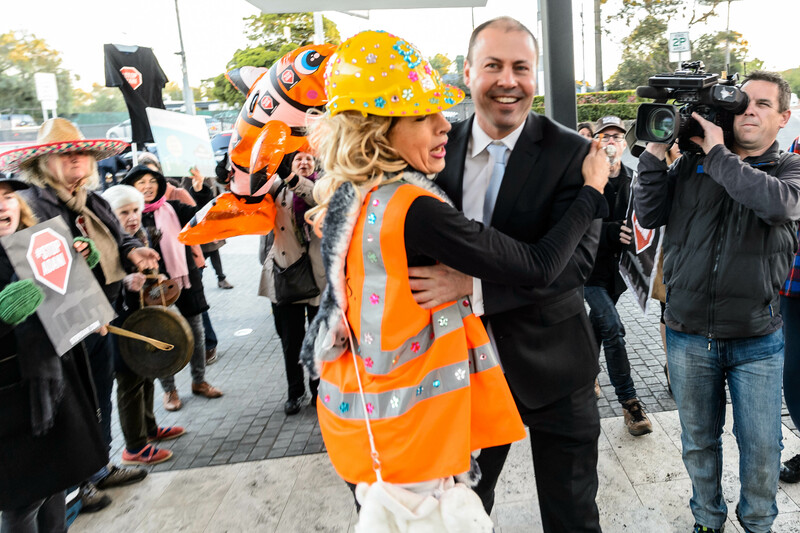 We are a politically strategic, voluntary-run Australian performance collective using striking visual spectacle and satire to communicate the urgent need for the world to respond to the climate emergency. 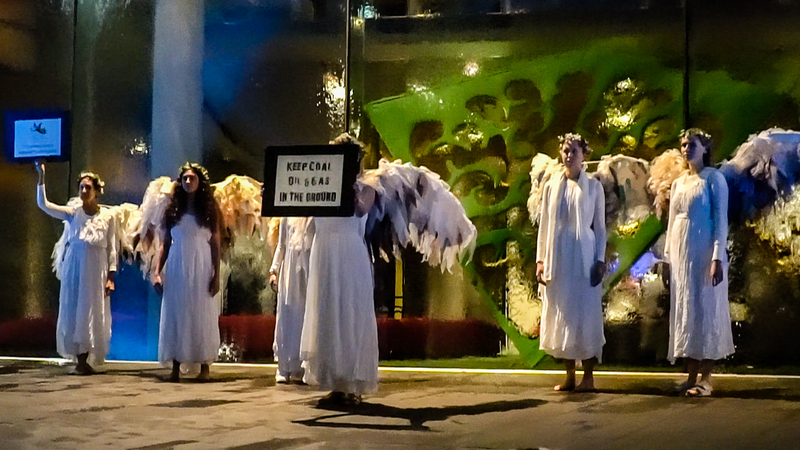 Since founding in 2013, ClimActs has been staging theatrical, non-violent blockades of offices and sites of polluters, and their political and financial backers, as well as contributing to government submissions relating to our Safe Climate Plan and greater environmental protection. 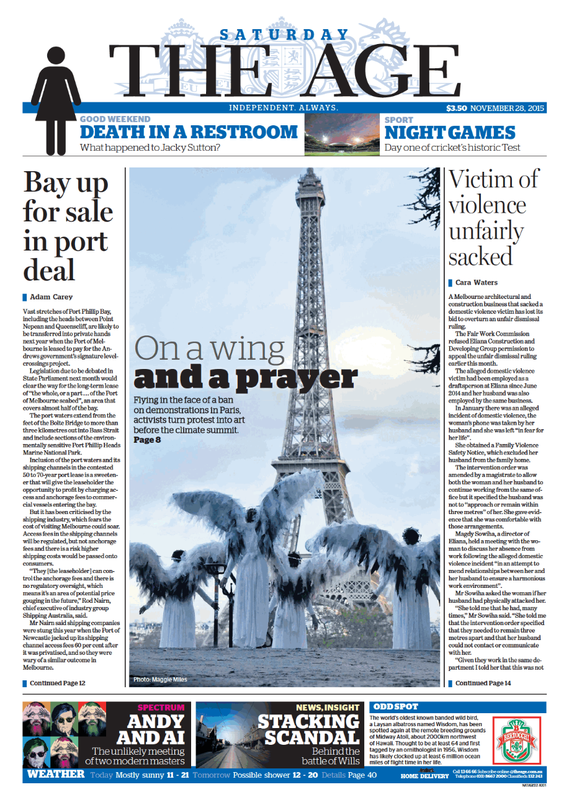 ClimActs has also performed as guest artists at Australian and international festivals including staging the opening performance art piece Requiem for Coal for the Lorne Sculpture Biennale 2014, two performances for the City of Ballarat’s Interventions (2014), four performances for the City of Ballarat’s Winter Laneway Festival (2015), at ArtCOP21(Paris, 2015), at the Sydney Lord Mayor’s special Preview Opening of Janet Laurence’s H2O Water Bar (Paddington Reservoir, Sydney, 2016), the Greenwich+Docklands International Festival (UK, 2016), the Australian Performing Arts Centres Associations (APACA) Conference/PAX (2016), the Biennale of Australian Art (BOAA) in Ballarat (2018), and at the launch of Janet Laurence: After Nature at the Museum of Contemporary Art Australia (2019). For helping inspire ClimActs’ creative modus operandi, we gratefully acknowledge the brilliant work of the John Howard Ladies Auxiliary Fan Club (aka The JoHos, co-created by Liz Conor and Zelda Grimshaw), The Yes Men, and the founders of Victoria’s Quit Coal Collective. For the fabulous gear worn by our Flat Earthers and Frackers Guild actorvists, we give thanks and praise to our creative, ever-so-stylish and supportive friends at Rose Chong Costumiers. Our timeline in images and blog should give you a good idea of our long history of creative actions and please get in touch for further information about our voluntary work. 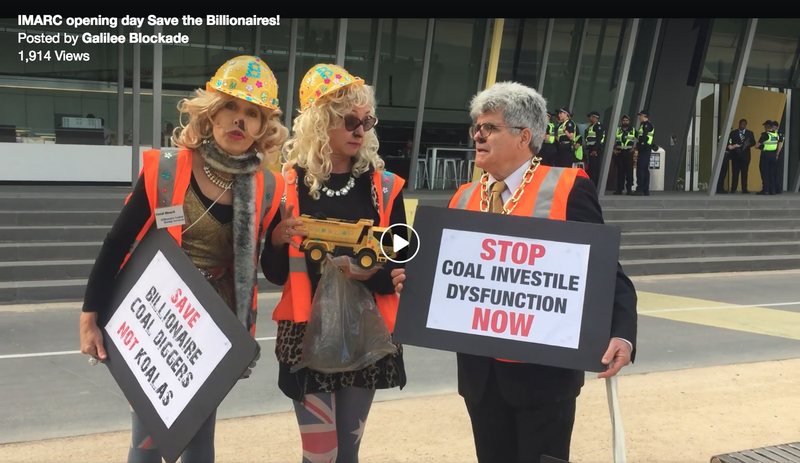 Coal Diggers helped kick off the International Mining and Resources Conference but were rudely mistaken for extremist greenist protesters and thrown out by no less than a dozen handsome men in uniform! November 2018.